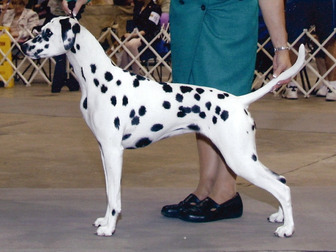 Rhys was the #1 Dalmatian in New Zealand from 2005 through 2008. A multiple Best in Show and Best in Specialty Show winner, this sound, sensible and easy going liver looker is just what we ordered for Pekoe. 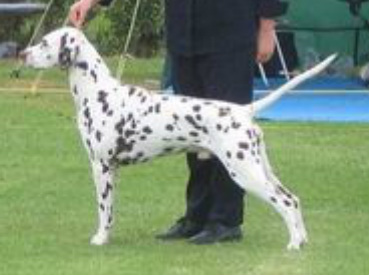 He's producing outstanding pups including group winners in four different countries. Pekoe's kids from the first litter are well on their way to both AKC and UKC championships and had an outstanding showing at DCA 2010. We expect pups with outstanding temperaments, working ability and looks in both liver and black. Watch this litter grow through the Rhys x Pekoe Puppy Blog.